Cigar and tobacco accessories don’t excite me much. I’m not really a watch guy either, and I don’t mess with cuff links or jewelry. So far I’ve managed not to lose my wedding ring in the compost pile, so I consider myself ahead of the game. I guess that’s why I’ve ever reviewed any accessories…until now. I used to have a couple torch lighters but their piezos pizzled and I’ve been using kitchen matches ever since. But Butanelighterswholesale.com sent me a Jobon standing lighter to review, and this little gadget might drag me back into the lighter racket. Jobon lighters are made by a Chinese outfit called Wenzhou Zhongbang Smoking Set Co. in the Zhejiang province of China. (My pinyin is a little rusty, but I’m thinking that Zhongbang probably sounds a lot like “Jobon”.) The company was started in 1990 by a fellow named An Xizhong, and they produce two primary brands of smoking accessories: Jobon and Zobo. The company emphasizes consumer value, which is easily seen in their pricing. The MSRP on this lighter is $21.99, but ButaneLightersWholesale.com shaves six bucks off that price. The Jobon lighter is a strange combination of solid engineering and classic Chinese chicanery. The chrome elements are smooth and seamlessly put together and the lighter has a little heft to it. On the other hand, the plastic parts are a little suspicious. The lighter comes with a hard rubber base on which the lighter perches very precariously — the lighter will fall over unless you jam it down into the base with some force. 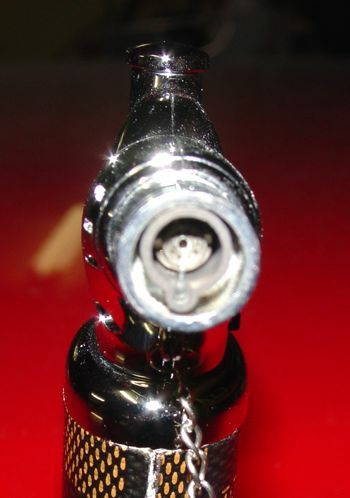 There is a plastic cap that fits over the nozzle which is connected to the lighter by a thin chain like a biker’s wallet. I guess this is decorative. I can’t fathom a practical purpose for it. And around the fuel barrel is a piece of faux leather parquet which just begs to be peeled off. 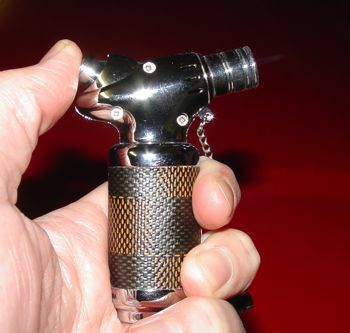 But the lighter itself seems sound, and of a much higher quality than I would expect for the price. 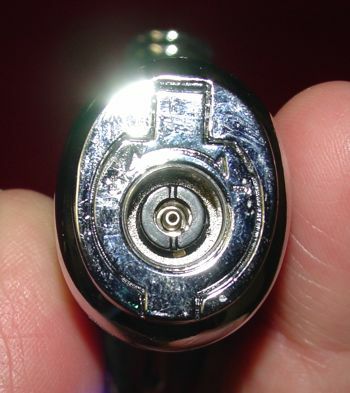 The ignition has so far been absolutely reliable and the flame is consistent and clean. Even though it’s a torch lighter, the flame seems softer than some I’ve seen. You certainly don’t want to use this to light your pipe, but it works very well on everything else. Creme brulee included. The true test of torch lighters is time. I’ve been using this lighter for about a month now, and though I’ve been smoking less, due to a crowded schedule, this lighter has not let me down once so far. I will be checking back with updates, but for the price, I don’t think the Jobon can be beat. 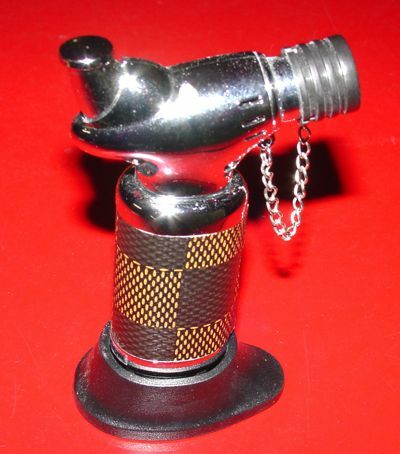 Check out Butane Lighters Wholesale for a great deal on a quality torch lighter. Tell ’em cigarfan sent you and you’ll get the same great deal that everyone else gets.